For my next project I needed to use fabric from my stash. 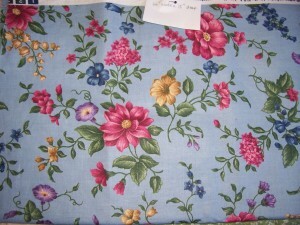 I chose this beautiful floral printed cotton by VIP Fabrics of www.cranstonvillage.com. 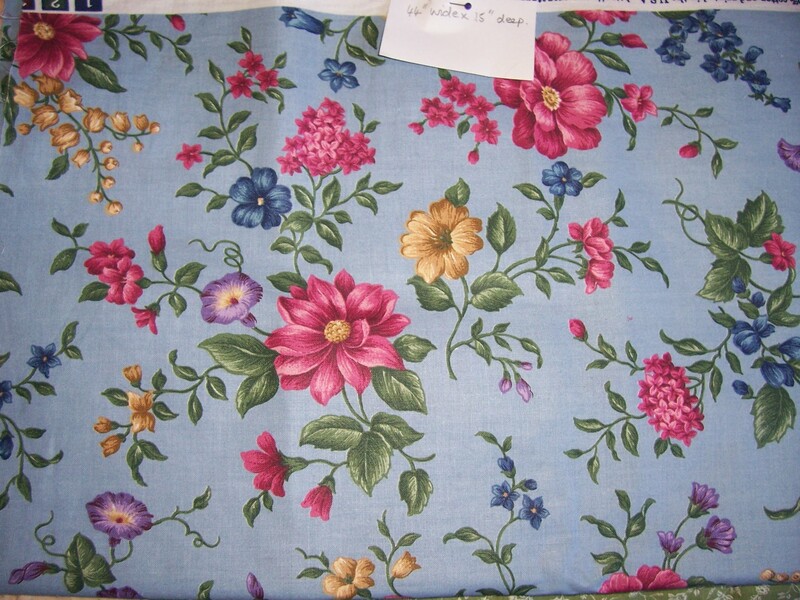 I know that I purchased the 2 metre length from a stall in the Swindon Indoor Market on a visit to my parents who were living in Gloucestershire at the time, so this makes the fabric at least 22 years old! I have kept the fabric stored in a cool dark place so the colours are as vibrant as the day I bought it. I decided to use my “old faithful” short-sleeved blouse pattern which has a hack of the collar from Style 1441 and a shaped hem from McCalls 2797. The only other changes I have made are to “round off” the corners of the collar, front facing and the patch pockets. Although there is no obvious one-way to the design I have cut all pieces in the same direction and the blouse took just 1.75 metres of fabric (114cms wide). I have a remnant left over for patchwork and crafting.